We LOVE pretend play in our house. 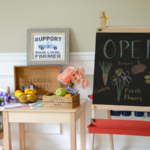 If you’ve been following along we’ve created a new dramatic play center each month in our playroom. 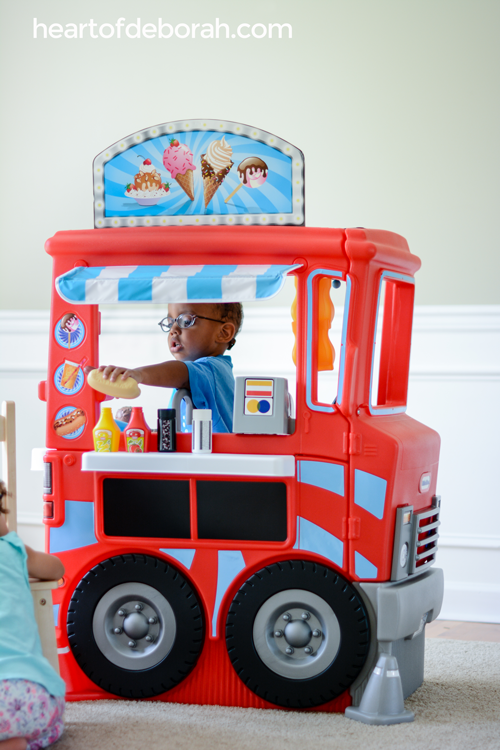 This month we were so excited to partner with Little Tikes and create our own food truck play center. Our kids were so excited. It’s perfect because my sister is having a food truck at her wedding in October. 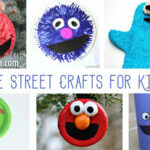 Each pretend play scenario has it’s own set of free printables. Follow Heart of Deborah on Instagram or Facebook to check out our new shop each month. 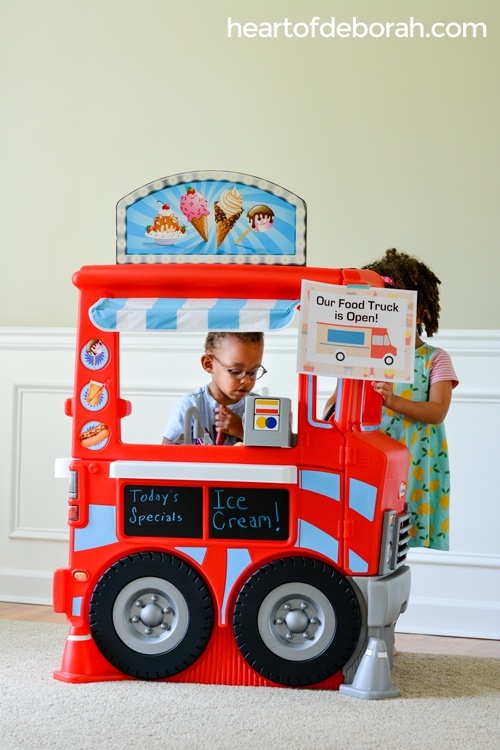 Our food truck was easy to set up this month thanks to Little Tikes. 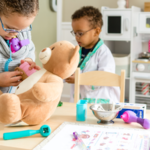 How adorable is this play set!? 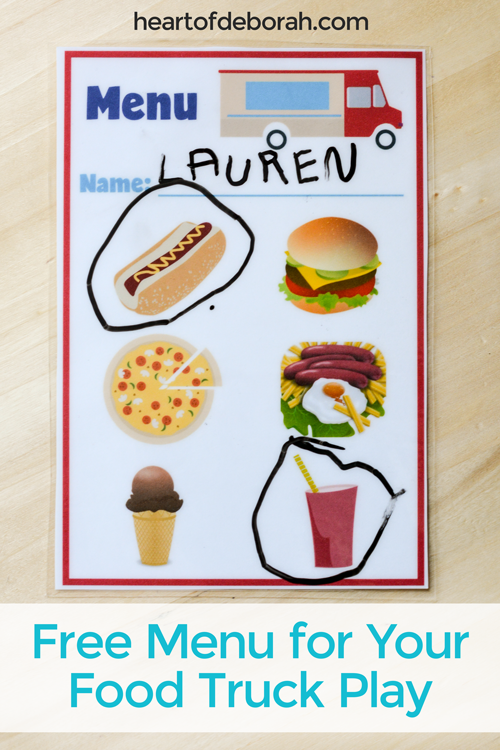 The kids love taking orders, pinning them up and ringing the bell when the food is ready. There isn’t much set up because it comes with all the play food and utensils. To add a little extra, we made a menu and an open sign for the food truck. This time I got smart and took the menu to staples to get laminated. Now our kids can use it over and over again. Saves me lots of paper! I don’t have to reprint the menu everyday. My daughter loves to write my name when taking my order. 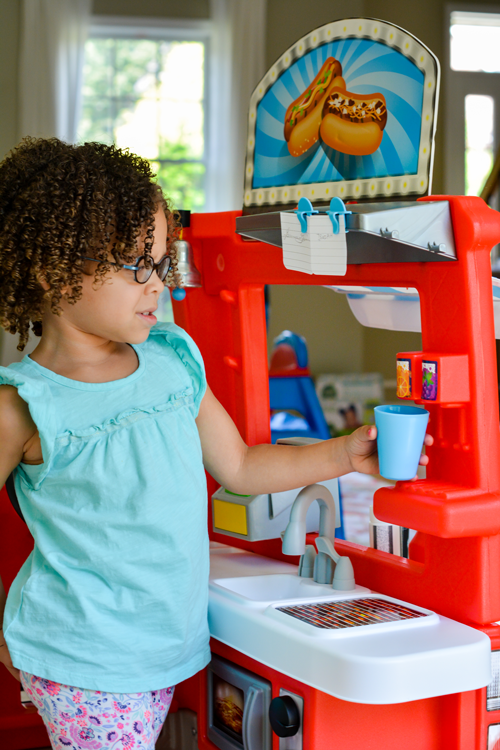 The Little Tikes truck also comes with a cash register and money. It’s so cute to hear my daughter say “Your order costs ten hundred dollars.” I was surprised at how many accessories came with the truck. The kids have spent many mornings here playing. Our kids will be ready to order and experience amazing food this October at my sister’s wedding! We also want to find a local food truck festival so they can experience multiple trucks. Download the free food truck menu here. You can also download the open sign here. Have you ever been to a food truck festival? 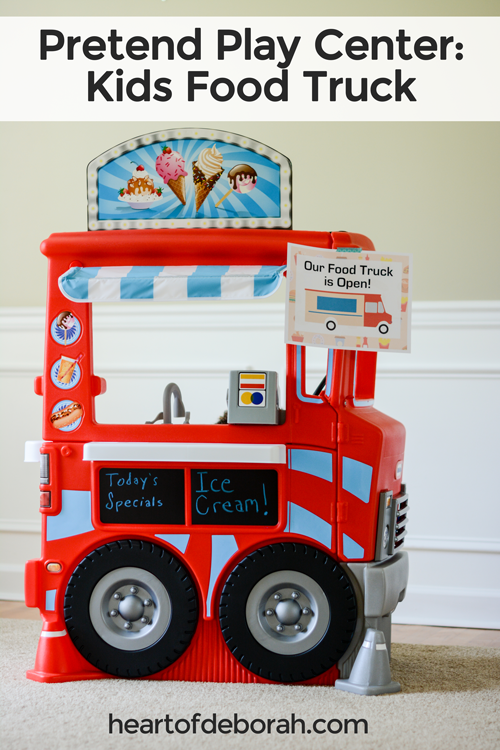 Would your kids love this play food truck as well? Thanks Little Tikes for sponsoring this post.